One of the most prolific artists in South Texas, Paul Valadez, treats us to yet another inspired solo exhibition. 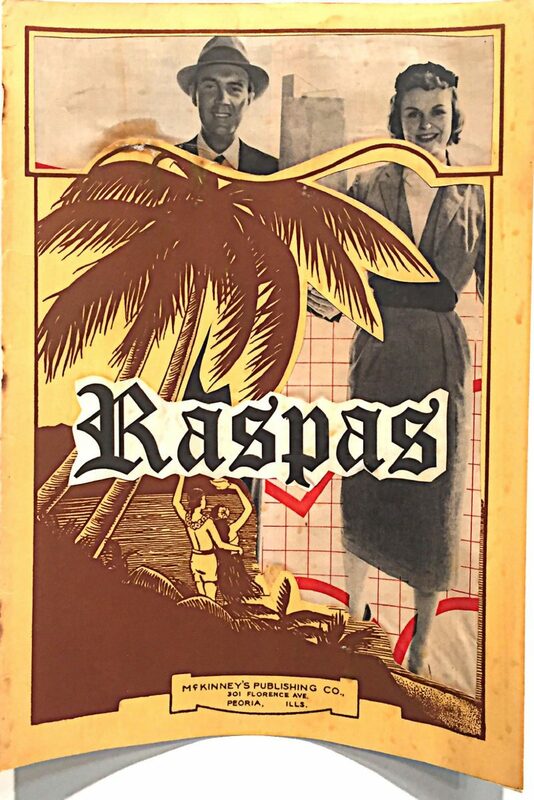 His insights into aspects of our lives are made visual in “American Raspa,” on display at UTRGV’s Visual Arts Gallery. 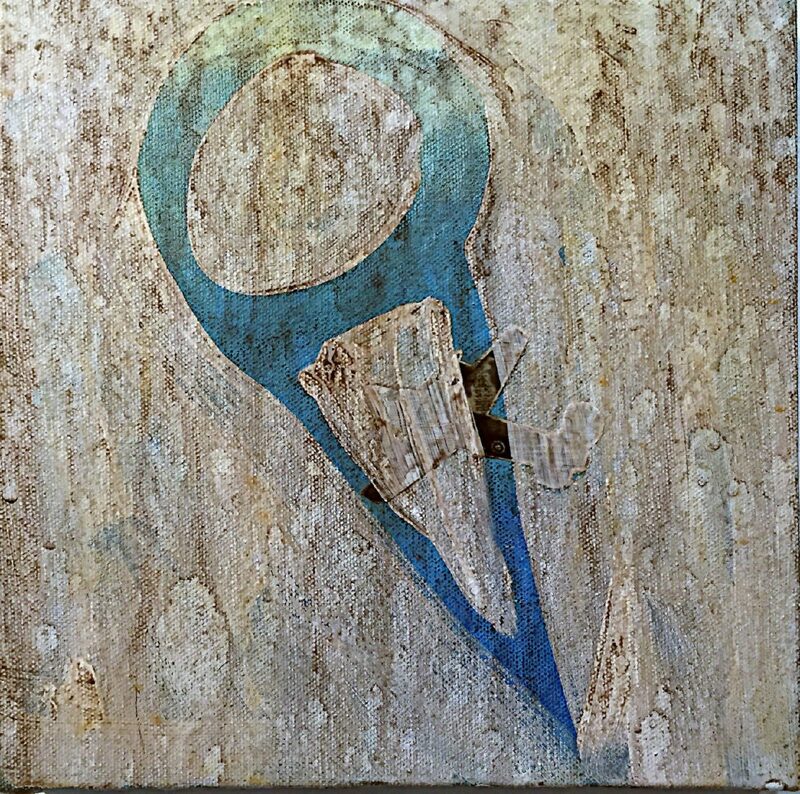 “American Raspa” consists of paintings and collages installed in related sets. Raspas are a combination of layered elements, shaved ice covered with colorful flavorings. “American Raspa” implies much the same; its paintings boast pleasant images and shapes filled with pastel colorings. 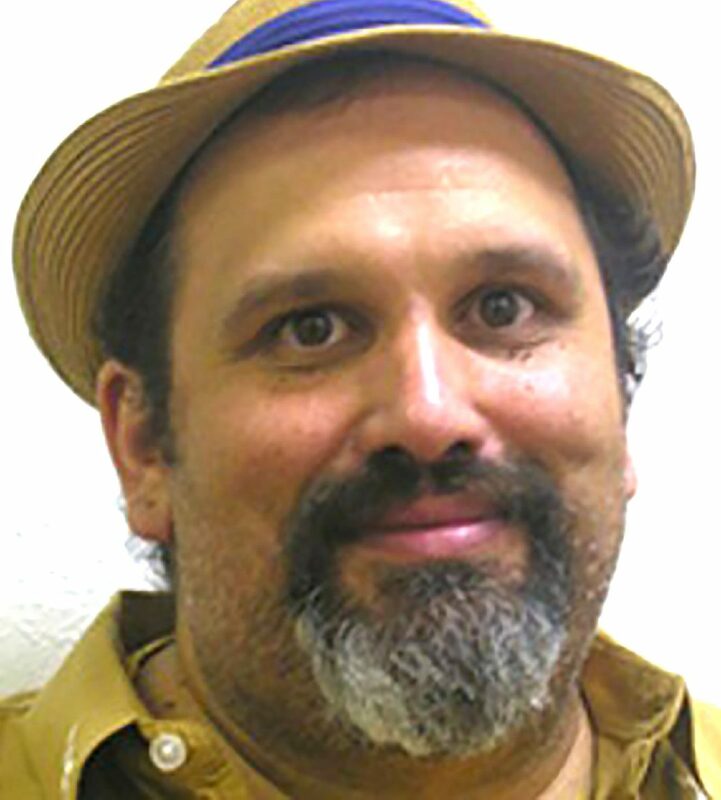 Valadez says that these works are just fun, and certainly the subject matter and the bright colors pulled from the raspa flavors are lighthearted. 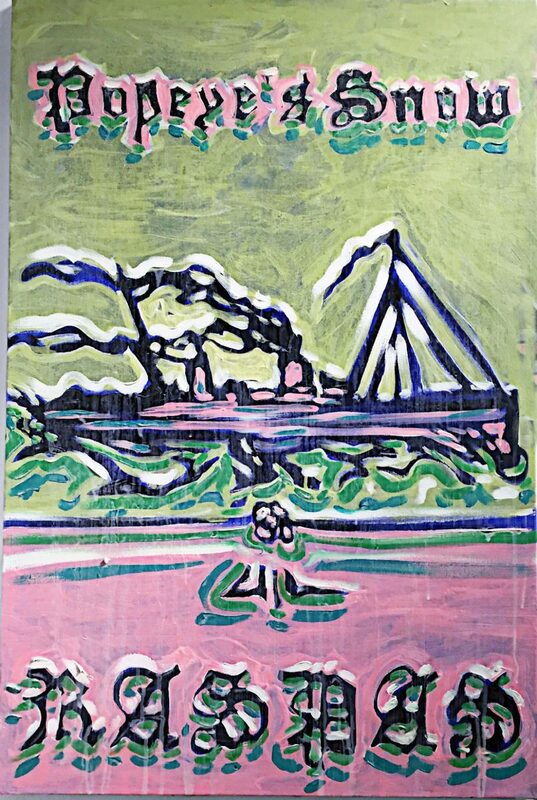 With deliciously coordinating raspa flavors, the exhibit begins with a series of whimsical raspa advertisement paintings, such as “Popeye’s Snow.” Good mood images. But seemingly, layers to the “American Raspa” may run deeper; since when did Valadez ever fail to venture beneath his surfaces? "Raspas (duckling)" by Paul Valadez. "8 Different Flavors-selected view" by Paul Valadez. "Popeye’s Snow" by Paul Valadez. "McKinney’s Hawaiian Guitar" by Paul Valadez. As pleasant as raspas may be on a hot day, “they can also be mysterious,” he muses. “You could be driving down the street and all of a sudden a new little raspa stand has popped up in the middle of nowhere. The hours of operation can be mysterious too; one day the stand is open for business and the next day it’s closed,” he said. Valadez work displays undercurrents, sometimes dark. A sense of raspa-mystery and change emerges in the small “Raspa” paintings of innocent creatures. Dominating the east wall are three sets, each set spells out “Raspa” in a different font, which is transparently layered over baby squirrels, puppies, ducklings, or other such creatures busy being themselves. The palette is raspa flavored and all seems well until one takes a closer look. 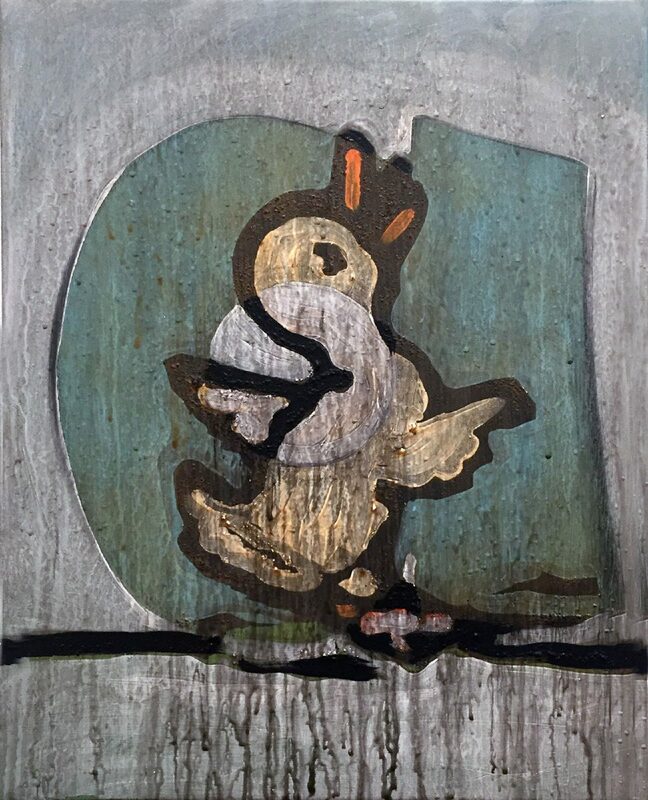 Valadez’s rich painting technique that often drips down the canvas may suggest a layer of unexpected meaning as in the painting of a duckling. The drip technique in the foreground relates to the black outline around the duckling, suddenly reminiscent of the oil-covered water birds from the big oil spills. The oil is covering the duckling like a toxic raspa. The loose-paint technique plays out often in these paintings and the painting-collages of sno-cones and palettas. Sets of “4 Flavors Two Cones” and “8 Different Flavors” conceal warplane images collaged under each layered confection image. The warplanes are almost hidden by the pleasant flavor of normal life. We’re not sure if they represent an underlying threat/doom, or if the raspa life force holds them in check. These works are direct and a bit foreboding. The shaved ice has become white/Anglo America; immigrant/indigenous culture is the color added to blend into a wonderful whole. In most images, the blending is still a humorous/disturbing work in progress, depending on your point of view. 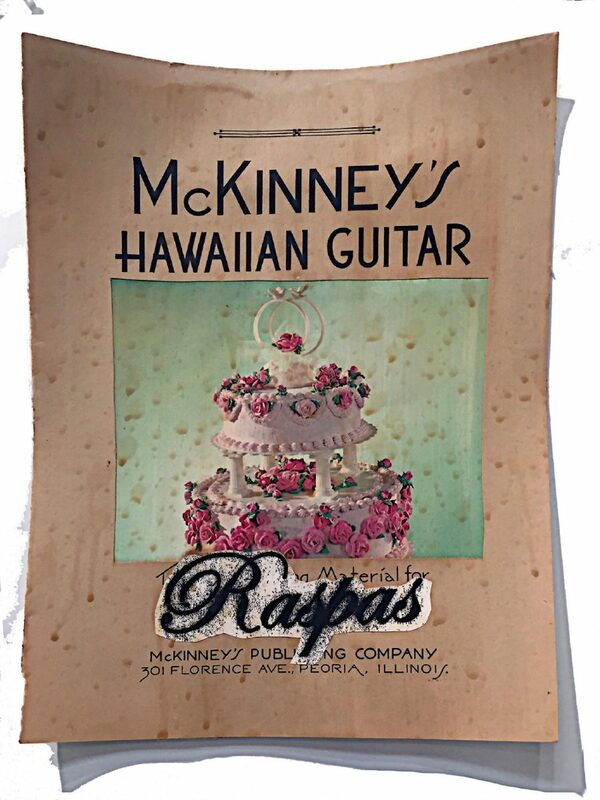 In “McKinney’s Hawaiian Guitar,” colorful frosting with decorative flowers and flourishes embellishes what is probably a vanilla wedding cake. It is now a glorious dessert and symbol.